Welcome to Command and Conquer: All Stars! 1/4/2008 – v1.2 Available Now! 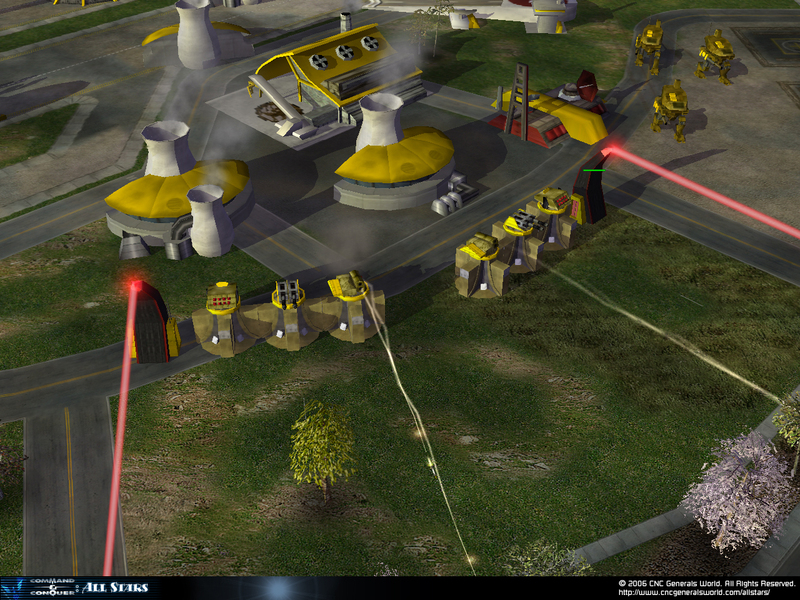 The return of classic C&C superweapons like the Iron Curtain, Weather Storm, Ion Cannon, Temple of Nod Nuke, Hunter Seeker Drone, Psychic Dominator and more! Experience the best of C&C like you never have before! 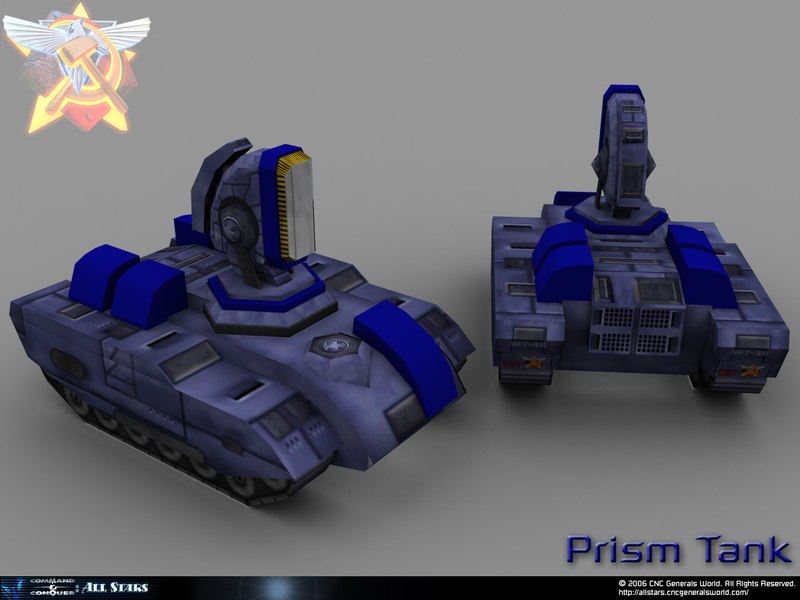 All Stars aims to settle the debates that Command and Conquer fans have been having for over a decade: What unit is the best? Which storylines are best? Who would win, Apocalypse, Overlord, or Mammoth MKII? Is Tesla technology better than Tiberium weapons? Can the Generals build system stack up against the classic C&C style? When the best of the best are thrown into an all out war - when the All Stars battle - what will happen? 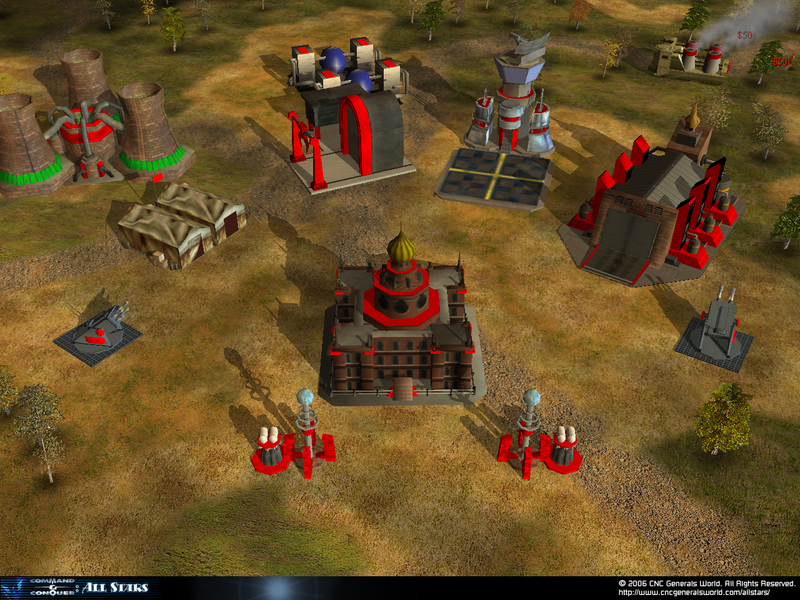 In CnC All Stars, each faction is a series from the C&C universe. The armies of the Global Defense Initiative, the zealots of the Brotherhood of Nod and members of The Forgotten form the Tiberian Coalition. The might of the Soviet Red Army, the wit of the Allies, and the psychic powers of Yuri form the Red Alert Alliance. The high-tech power of the United States, the brute numbers and force of the People's Republic of China and the terrorist tactics of the Global Liberation Army form the Generals Elite. What better way to experience the evolution of the series that defined a genre than to bring out its best of the best. The All Stars are ready. Are you?